Fans Plead With Sony: "Stay Away From DRM"
Sony execs have said that they're listening, but haven't given any indication of what Sony will do. After the Xbox One reveal, some folks' attention turned to Sony and its PlayStation 4. But some fans are worried Sony might be tempted to follow Microsoft's line, particularly with regards to DRM. You may have noticed a couple new hashtags doing the Twitter rounds, #PS4NoDRM and #PS4USEDGAMES, tags that got momentum after being popularized on NeoGAF and Reddit. People using those tags are, as an open letter to Sony puts it, "requesting you to keep things on PS4 as they are on PS3, when it comes to physical disc rights and second hand discs." Fans are being asked to target Sony executives directly, including the likes of Shuhei Yoshida, John Koller, Guy Longworth and Scott Rohde; the idea being to persuade Sony not to go down the road that Xbox One seems to be lingering on. "This is why I love PlayStation fans," John Koller Tweets in response, "the passion bucket overflows." His sentiment was echoed by several other Sony executives who responded to the campaign, but sentiment - so far, anyway - is all it is. 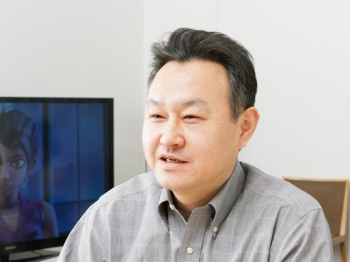 Shuhei Yoshida has yet to respond to the campaign directly, though he did suggest, back in February, that the PS4 might not block used game sales. As for persistent online authentication, Sony's stance is still unclear. It hasn't been confirmed for the PS4, neither has it been denied. If Sony listens, and if Xbox One's message regarding used games and always online remain as confused as it has been so far, the PS4 could enjoy a significant popularity boost, come launch.